“The king of Syrian techno” OMAR SOULEYMAN will finally make it across the border. Ever since 1994 he has been making his native country dance like fools, but thanks to the Sublime Frequencies label, his “Highway to Hassake” became a major underground hit in the west as well. Old school keyboard electronics go together with mawal style vocalization: the best receipt for a night out partying. 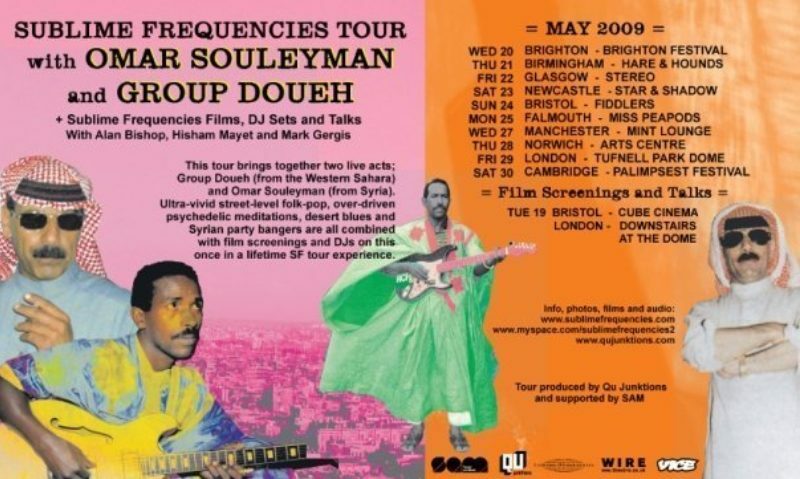 GROUP DOUEH is a Sahrawi band lead by electric guitar player and composer Doueh. They play a raw mix of traditional music, western funk and psychedelic guitar music. Another one for dance crazy people and full of fuzzed-out solo’s.